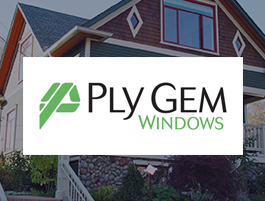 Procraft is proud to partner with Ply Gem Windows to provide and install their expansive and superb quality lines of vinyl framed residential window products. Ply Gem Building Products manufactures their amazing window and door products with an emphasis on sustainability and maximum energy conservation. Manufactured in Auburn, WA, Ply Gem's close proximity to our location and that of our clients fits perfectly with our business model that demands fast response time for our installations department and fulfilling our promise to our customers. Ply Gem has partnered with Habitat with Humanity to help serve families in need. Ply Gem provides eco-friendly solutions and maintains efficient and environmentally-conscious business practices.